Collaboration is in our DNA. We know where it has taken us. We know it can take us further. With a rally cry as simple as "&." 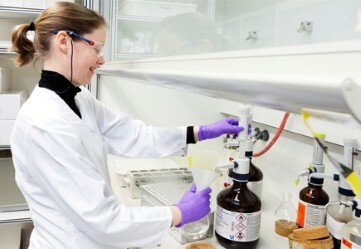 A key element of our Janssen Research & Development strategy is to augment our internal research with external innovation by building collaborations with leading scientists in the world and continuing to strengthen our pipeline through strategic alliances, licensing and acquisitions. We have a long tradition of successful collaborations with leading academic and government institutions, biotech and pharmaceutical companies throughout the world. There are more than 400 collaborations currently, ranging from discovery to late-stage development deals with academic institutions, biotechs, public-private partnerships and open campus initiatives. Each alliance is built on a shared vision with well-defined and agreed-upon goals and objectives. Our alliances take many forms, but our goal is always the same: to advance scientific research to deliver innovative, differentiated solutions that provide value to patients, physicians and healthcare systems around the world. We are strongly committed to establishing alliances with partners whose innovative thinking and knowledge will bring new and creative solutions to the field of medicine. Our primary focus with each partner is to ensure the success of the product or the technology, and our teams work to ensure each strategic relationship is supported with open communications and guided integration and implementation plans over the life of the collaboration. Partnerships are central to all that we do. Beyond our research and development partnerships, we recognize the importance of building multi-sector alliances to address critical health needs. We are committed to working across sectors with governments, donors, non-governmental organizations (NGOs), multilateral organizations, and other stakeholders. Together, we foster innovative approaches and increase access to new medicines and new technological solutions. We set a strong foundation for partnerships, which may include licensing agreements guided by terms that address public health needs, and we aim to mindfully reflect our commitment to a pro-access legal environment. For example, going forward, our contracts will strive to incorporate a number of pro-access terms identified by the Access to Medicine Foundation in the 2014 Access to Medicine Index. Learn more about JLabs, the external R&D engine providing a capital-efficient, resource-rich environment where emerging companies can transform the scientific discoveries of today into the breakthrough healthcare products of tomorrow.